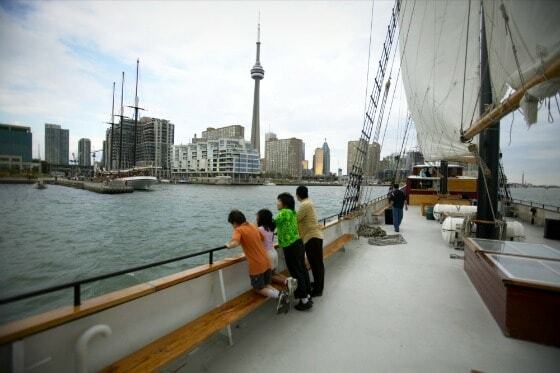 If you land in Toronto, the Maple Key route takes in Canada’s biggest city — Toronto — and the country’s number 1 tourist attraction, Niagara Falls. But that’s not all. The route can take you into Canada’s famous wilderness, for hiking and/or camping adventures in Algonquin Park; along Lake Ontario to the quaint historic town of Kingston; north to the nation’s capital city, Ottawa; and east to “La Belle Province,” Quebec, for cities that have a distinct European flavour. Quebec’s largest city, Montreal, and the most historic, Quebec City, are on this route, so you can make it an entirely urban adventure if you’re not ready for the rugged outdoors. A significant percentage of Canada’s total population lives along this corridor, so you will never feel far from civilization! And the Via Rail train can take you along most of this route (except for up to Algonquin Park). If it’s summer, you may want to head north up to Algonquin Park from Toronto and stay in a cabin, lodge or even go camping. Outfitters have everything you need to rent when you get up there. Or, you can drive along the north shore of Lake Ontario towards Ottawa and Montreal, and stop in Kingston. Historic Kingston is the gateway to the 1,000 Islands, a picturesque tourist destination with lots of boating and lodging options. 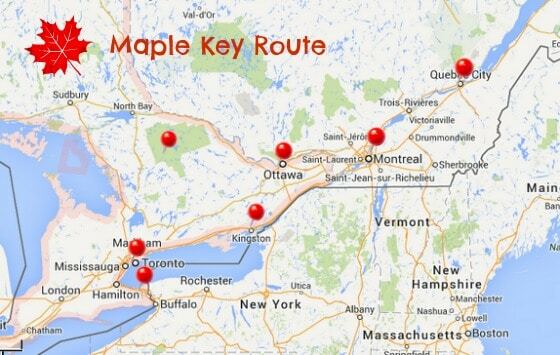 After Kingston, you can head to the nation’s capital Ottawa, or choose to go directly into the province of Quebec. Ottawa is a small city with tons of options for cultural visits to museums, the House of Parliament and art galleries. You can also get out into the beautiful countryside surrounding Ottawa, such as the Gatineau Hills, very easily. In Quebec, make sure you spend some time in Montreal. It is a fun, culturally rich city with great shopping, dining and festivals. 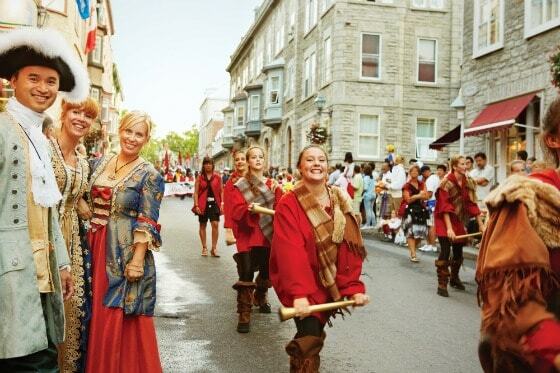 Quebec City is very old, with an historic quarter that will make you feel you are in Europe. If you land in Vancouver, the Rockies Road itinerary takes you through the country’s most spectacular scenery, from the Pacific ocean to the jagged, spectacular Rocky Mountains. This itinerary can include taking the ferry over to Victoria on Vancouver Island or taking a drive up into the mountains outside of Vancouver to see Whistler, one of Canada’s most famous, and charming, ski resorts. From Vancouver, you can drive or take the Via Rail train right across the mountains and into the Rockies to Calgary. Stops at Banff and Lake Louise are a must! Lake Louise is probably the most photographed lake in Canada — and it really is as spectacular in real life as it is in the photos. You actually feel you are in a picture postcard. 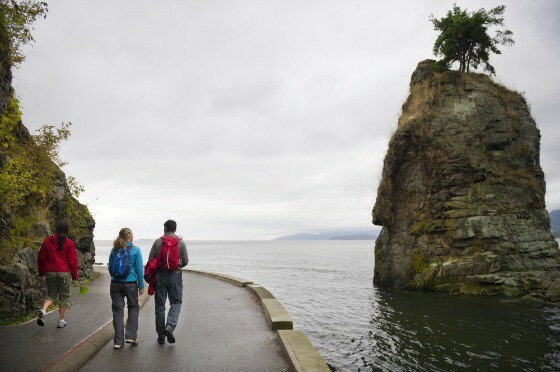 Vancouver is set between mountains and sea, so it offers vistas and recreation options like no other city in Canada. My favourite Vancouver activity is walking the seawall in Stanley Park. Though an urban park, you can really feel at one with the wild elements of ocean and forest. From Vancouver, you can drive just about an hour or two south to get to Tsawwassen where the ferry terminal is. I love taking the ferry through the Gulf Islands and over to Vancouver Island. You can stop at any of them, or keep going and drive to Victoria, a quiet city on the ocean known for a temperate climate and lush gardens. Going the other direction from Vancouver, taking the train through the Rockies is probably one of the most romantic and exciting things you can do in Canada! The train runs from Vancouver to Jasper, Alberta; from there you can drive to Lake Louise and Banff. Treat yourself and stay at the Fairmont Chateau Lake Louise, one of the grand old hotels built by the railway about 100 years ago (see top photo). Lake Louise is arguably the most picturesque spot in Canada — and you will have a never-ending view of it from the hotel. Banff is a small town in the mountains surrounded by a national park. 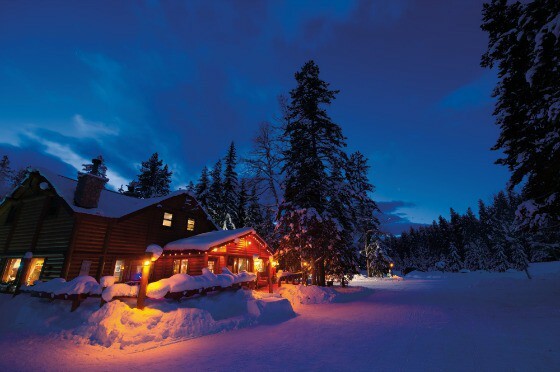 It is gorgeous all year round and offers a very wide range of recreation opportunities from hiking, horseback riding and skiing to soaking in hot springs, dining and shopping. 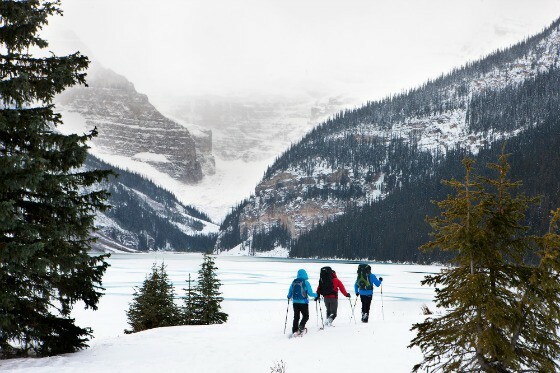 A sojourn in Banff is an immersion in the Canadian experience. Finally, you can end your itinerary in Calgary, home of the famous Calgary Stampede, and annual summer festival that celebrates cowboy culture. Calgary has an international airport that can connect you to your onward flight.